New for 2019, we are pleased to announce Montenegro as an additional venue for our ever popular Long Distance Training camps. 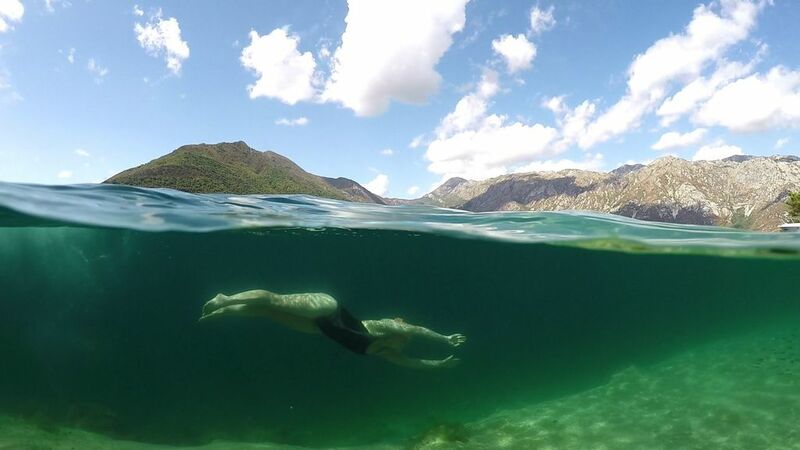 With more than 250 successful English Channel solo swimmers having completed our long distance training in the past, it is the perfect way to prepare yourself, both physically and mentally, for any long distance swim challenge that you’re planning to undertake. 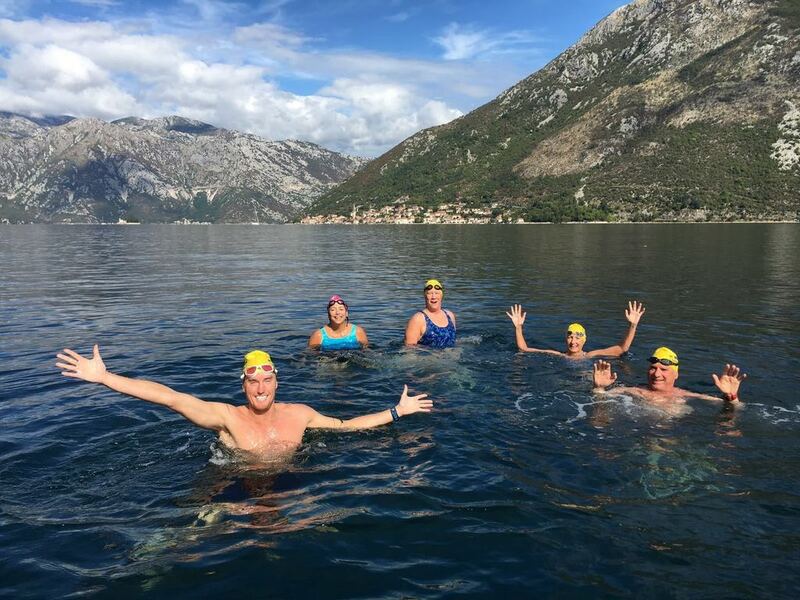 Under the expert eye of our experienced swim coaches, you will have all the support that you need to complete six days of intensive open water training. Incorporating video analysis to improve your technique and performance, and a packed schedule of seminars on critical topics such as “Feeding and Hydration” and “Mental Preparation” this camp will ensure that you are ready to take on your open water challenge with a solid level of preparation behind you. Whether you’re considering swimming the Channel or taking part in another long distance swim in a different corner of the world, we understand what you’re going through. We’ve been there before and we know what it takes to prepare yourself for such a challenge. With expected water temperatures of 18-20°C (guide only), this camp builds to an optional six-hour swim for guests who want to push themselves to doing long duration swims. Please note that the 6 hour swim is not intended as a Channel qualification swim due to expected water temperature. For a qualifier swim you should join one of our Channel and Long Distance Training Camps in Mallorca. 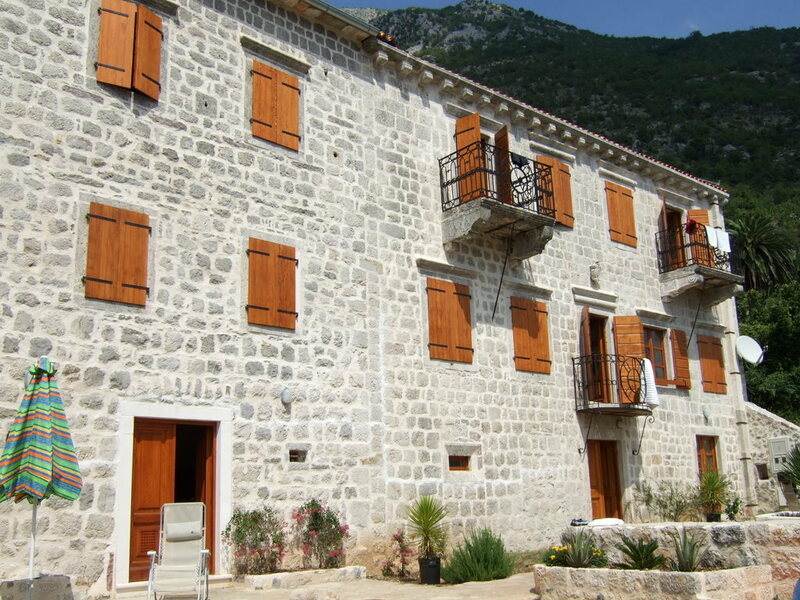 Our accommodation is the Perast Palace in the town of Perast located on Kotor Bay. 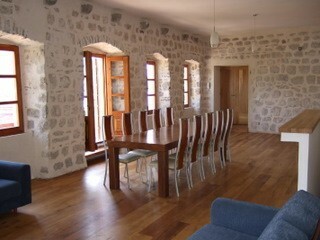 Formally an old palace, it has recently been converted into a home from home style accommodation. It’s an ideal facility for these camps and is within 100m of the water which helps to optimise the mix of training and relaxation time throughout your coaching camp. Who is this coaching camp for? 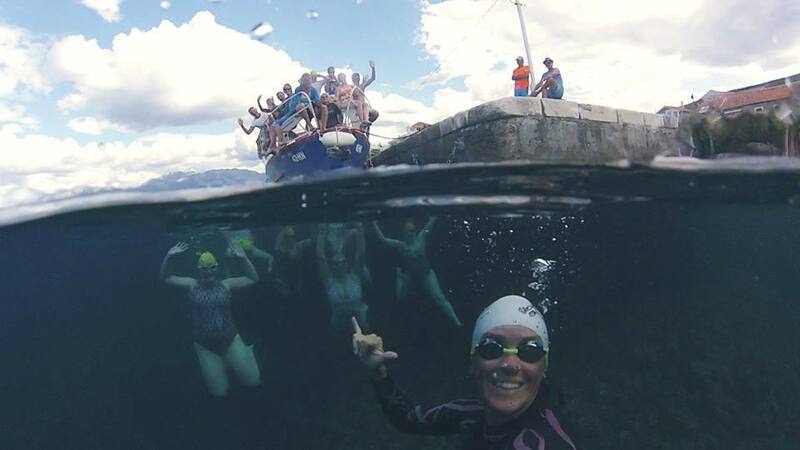 This camp is designed for the swimmer who is training for a challenging long distance open water swim. 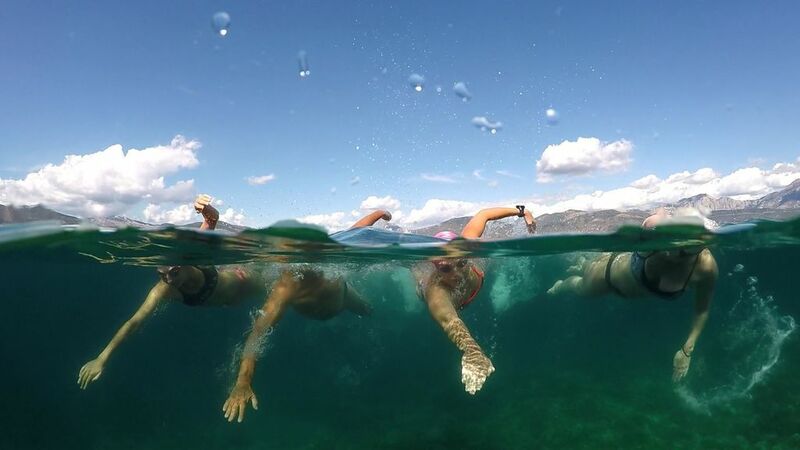 The tour features long open water training swims, mostly in Kotor and Tivat bays, with full safety cover, as well as technique coaching and training seminars, over the course of the coaching camp. We meet in the courtyard of our accomodation in Perast for a pre-camp safety briefing and to discuss in detail the plans for the week ahead. After focusing on the swim schedule and seminar plan, it’s time for an early evening acclimatisation swim to prepare for the next day’s swims and the challenging days ahead. This morning we hit the water for the first time for a short swim in Kotor Bay. This is an ideal time to get used to the conditions and temperature. Remaining in the Bay, we film your stroke using specialised video equipment. Later on we will review the videos with detailed stroke analysis for each swimmer. 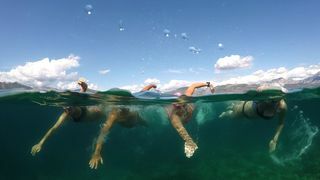 After a hearty lunch back at the palace, in the afternoon we are back in the sea to improve our endurance with another bay swim. Later this evening we meet at the palace for our first seminar. 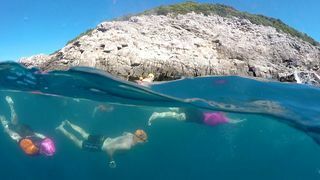 This is a big day as we fit in two long swim sessions in Kotor Bay. Distances will vary according to each swimmer and their training goals, and we will also focus on your feeding plan, suggesting alterations if required. The precise swim location will be based on the current weather and local conditions. This is your chance to complete your six-hour swim under the watchful eye of our hugely experienced coaches. For all others, it’s a chance to see what you can do. We will provide full safety boat cover and nutritional support during your swim. Following this, we will work with you individually on assessing the outcome and plot your way forward from here. A day to swim, a day to focus on your technique, a day to relax. The day is planned with an easy, but important, recovery swim after yesterday’s efforts, and a chance to relax on a boat nearby. Time will be set aside for a group Q&A session and one-to-one discussions with your coaches to consolidate your learning and to plan your future training. There’s time for one more morning warm-down swim session before the camp ends. 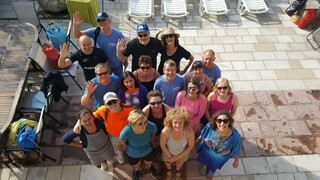 We swim as a group and it is an excellent time to work on your technique and to swap information with other guests and coaches from your Coaching Camp. Due to the nature of this training and the wide range of distances that will be covered by different members of the group, most of our swims take place around a series of circuits in locals bays. Circuit swims allow you to complete your training at your individual pace with full safety cover at all times. The guides that we use on this trip are all highly experienced long distance swimmers and/or swim coaches, with a number of them having completed English Channel solo crossings. Past guides who are currently planning to be back in 2019 include Fiona Southwell and Cliff Golding, with additional guides to be announced in the lead up to the coaching camp. A signed medical form from your doctor is required for this Coaching Camp. 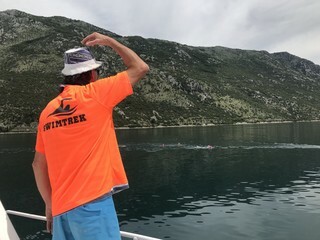 If you have already completed a medical assessment in preparation for a swim in 2019, please send a copy to info@swimtrek.com, as this may be sufficient. Alternatively, download the SwimTrek Medical Form here. This form must be completed after 1 September 2018 and uploaded to your SwimTrek account at least one month before your camp. IMPORTANT: Please note that this medical form is separate to the ‘My Health Details’ section of your SwimTrek account which also needs to be completed prior to the start of your Coaching Camp. *Please note that these temperatures are indicative and we cannot guarantee that water temperatures will be below the required level for English Channel qualification swims. For safety reasons, we rely on decent weather conditions when carrying out our swims. 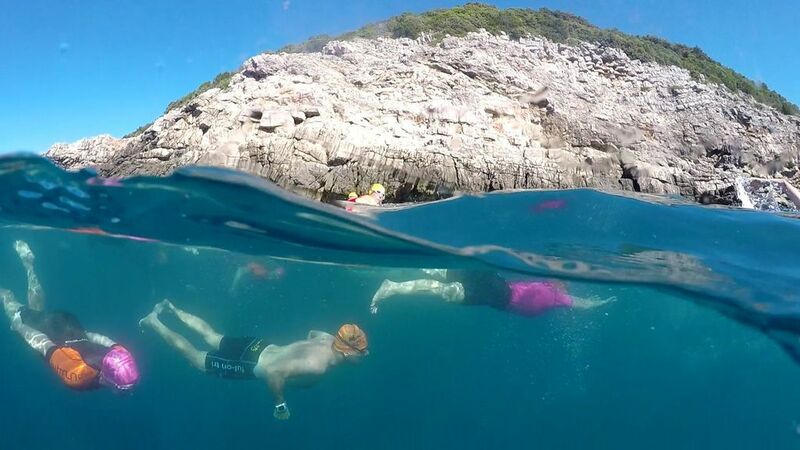 As a consequence, open water swimming holidays require a certain degree of on-trip flexibility which can result in changes to the planned itinerary. These changes often add a touch of uniqueness to your coaching camp and will be communicated to you by your SwimTrek coaches as quickly as possible. This coaching camp has a maximum group size of 15 with a coach/swimmer ratio of approximately 1:5. Boat provision on this coaching camp includes two support boats piloted by your SwimTrek coaches and at times a main boat with local boat pilot. Please note that this boat support is subject to change without notice and cannot be guaranteed. 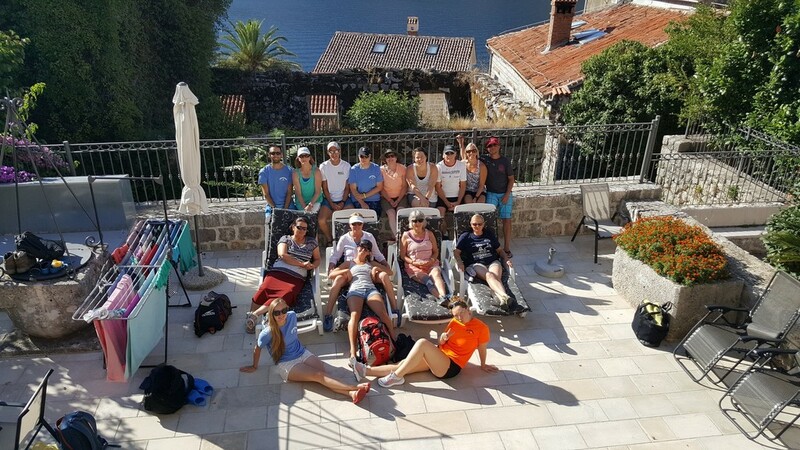 There are several ways to travel to Perast, however, the most common route is to fly into Dubrovnik Airport in Croatia and book the shared transfer service which leaves between 12:30 and 13:00 on Day 1 of your coaching camp. It is also possible to fly into Tivat Airport in Montenegro, which is located closer to Perast but is a smaller airport than Dubrovnik and has fewer international flight arrivals. While we have outlined various travel options below, they are subject to change and should be used as a guide only. Whichever route you choose to take, we recommend confirming your flights and other travel bookings as early as possible in order to avoid price rises and availability issues. To search for available flights into Dubrovnik Airport, we suggest that you use Skyscanner. Dubrovnik Airport Carhire offers a shared transfer service from Dubrovnik Airport to Perast Palace in Montenegro which coincides with morning flight arrivals into Dubrovnik and must be booked directly with the transfer company by emailing Mihajlo on: info@dubrovnik-airport-carhire.com. Please note that this is a shared transfer service and may include up to eight fellow travellers. 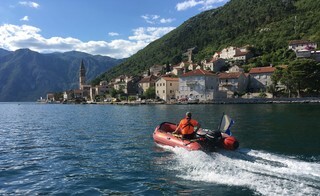 The transfer leaves between 12:30 and 13:00, depending on the flight arrival times of the guests who are booked on the transfer, and takes approximately two hours to reach Perast Palace. It is worth mentioning that this journey time could be significantly longer due to possible delays at the Croatian-Montenegrin border. IMPORTANT: To book your place on this transfer, you must email info@dubrovnik-airport-carhire.com with your flight arrival details at least 7 days prior to your arrival. Please note that your transfer will not be confirmed until you have received a written confirmation from Dubrovnik Airport Carhire. 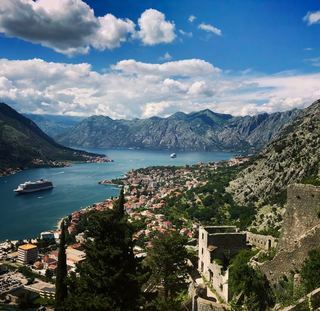 Private transfers from Dubrovnik Airport to Perast are available at the above rates for guests whose flights to not coincide with the shared transfer at 12:30-13:00. To make your booking, please contact Mihajlo at: info@dubrovnik-airport-carhire.com. Alternatively, you can visit the Peugeot rent-a-car office at Dubrovnik Airport, located in front of the arrivals terminal, to get a quote on location. There is a bus service which runs from Dubrovnik’s main bus station to the town of Kotor, which is situated just 12 kilometres from our base in Perast. Please note that Kotor is the closest scheduled stop on this service, so you will need to ask the driver to let you off in Perast. Once released, the bus timetable can be viewed at Libertas Dubrovnik, however, please note that it is subject to change without notice. If you are planning to stay in Dubrovnik before or after your coaching camp and need a transfer between the airport and your accommodation (including to meet the shared transfer on Day 1), please email Mihajlo with your arrival details or travel plans: info@dubrovnik-airport-carhire.com. To search for available flights into Tivat Airport, we suggest that you use Skyscanner. 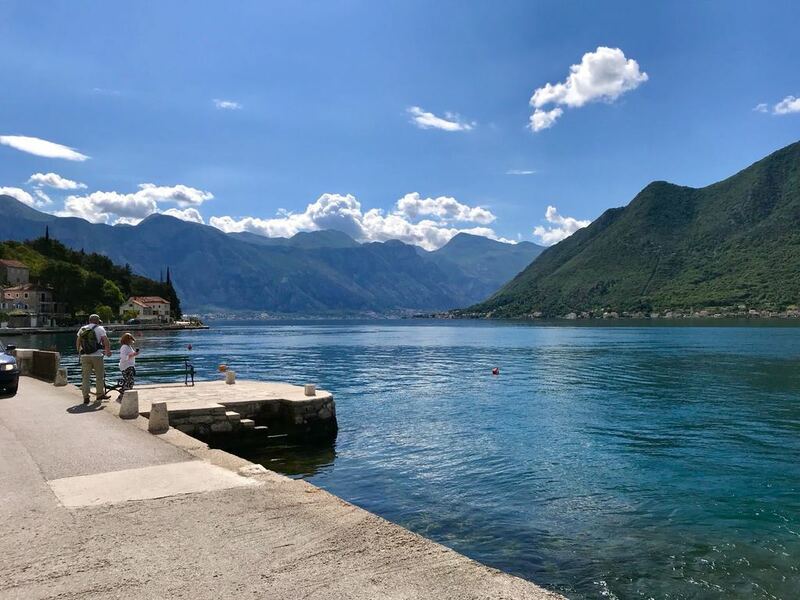 Private transfers are available from Tivat Airport to Perast for €25, which can be split up to three passengers and take approximately 30 minutes. To book this transfer, please e-mail Liliana: lilianaglyn@hotmail.com. Perast Palace, known locally as Palata Mrshe, is a beautiful former palace which has been totally refurbished in a traditional Montenegrin style and which is booked exclusively for SwimTrek’s use during our trips. 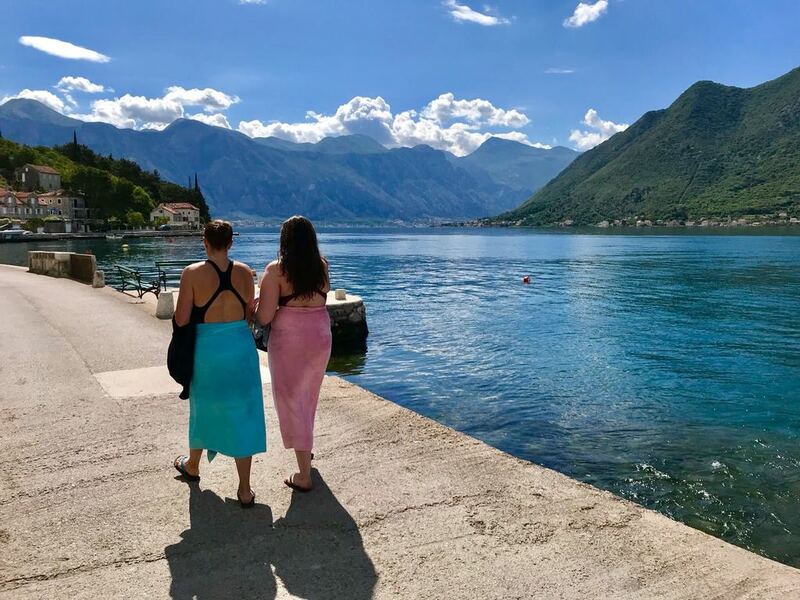 The Perast Palace is a home away from home and is situated up a flight of steps, just metres from the water’s edge on the banks of the Bay of Kotor. 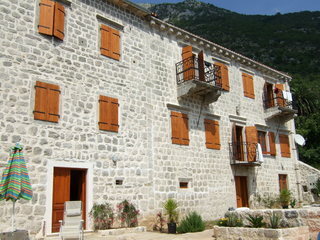 The house features a large lounge and TV room as well as wireless internet and an outdoor terrace in the heart of Perast. 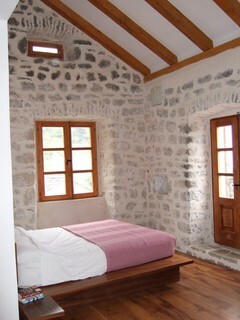 Please note that there are a range of bedroom/bathroom options at Perast Palace. The majority of the rooms are offered on a twin share basis and have en suite facilities, however, please be aware that there are two bedrooms (Rooms 2 and 5) which have a shared bathroom. Please ensure that you select the correct room type at the time of booking and be aware that all rooms are subject to availability. Due to the limited number of rooms at the house, there is only one single supplement available on each departure, which is often booked very early. If the single supplement is still available for the departure that you are interested in booking, it will be available to select during the booking process. Full details on Perast Palace and photos of the bedrooms and living spaces can be found here. The Perast Palace is known locally as ‘Palata Mrshe’, so if you are asking for directions, it is often helpful to use this name. If you arrive into Perast from Kotor, the steps leading up to Perast Palace are just after the fire station on the right-hand side. If you are coming into Perast from Risan/Herceg Novi, the steps leading up to Perast Palace are just before the fire station on the left-hand side. Breakfast and lunch are included on this training camp. On the first night, an optional 3-course welcome dinner is held at the Perast Palace at a cost of €20 per person. This meal is always a great way for you to get to know your coaches and fellow swimmers over a delicious, homemade meal, however, if you wish not to be included, please let the SwimTrek office know prior to your departure. Vegetarian and vegan options are available upon request. Please do get in get in contact with the SwimTrek customer team to let them know of any dietary requirements. Other dinners are not included, allowing you to experience the local restaurants of your choice over the course of your coaching camp or make use of the spacious kitchen in the your accommodation. The average cost of dinner in a local restaurant is €20-25. Although we can assure you that the meals will be sumptuous and delicious, guests can choose to supplement their meals by bringing along your own items. You should bring extra money with you to cover such items as entertainment, meals etc. The local currency in Montenegro is the Euro (€). 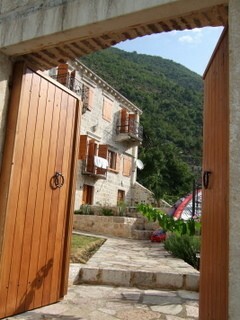 There is one ATM located in Perast, as well as others nearby in Risan (3 km from Perast) and Kotor (12 km from Perast). Please be aware that the currency in Dubrovnik is Croatian Kuna, not Euros, so it’s best to get Euros and Kuna prior to travelling. Non-citizens of Montenegro require a full passport to enter the country, which should be valid for six months beyond the expected length of stay. Citizens of all E.U. 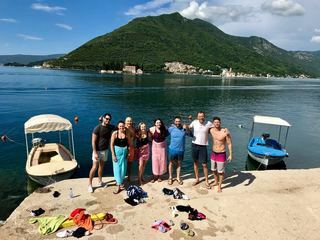 member states, U.S., Canada, Australia and New Zealand do not require a visa to enter Montenegro for less than 90 days. Please note that visa regulations are subject to change and we advise that you check your own visa requirements prior to travel. For comprehensive health information for people travelling to Montenegro, including all recommended and required vaccinations, please visit Travel Health Pro. Please note that this information is subject to change and you should re-check this site regularly prior to your coaching camp. What a great group selfie! The 'Long Distance Swim Training Camp - Montenegro' trip is new for 2019. As soon as we have run our first trip, we will share some customer reviews here. This trip will not be running in 2019. 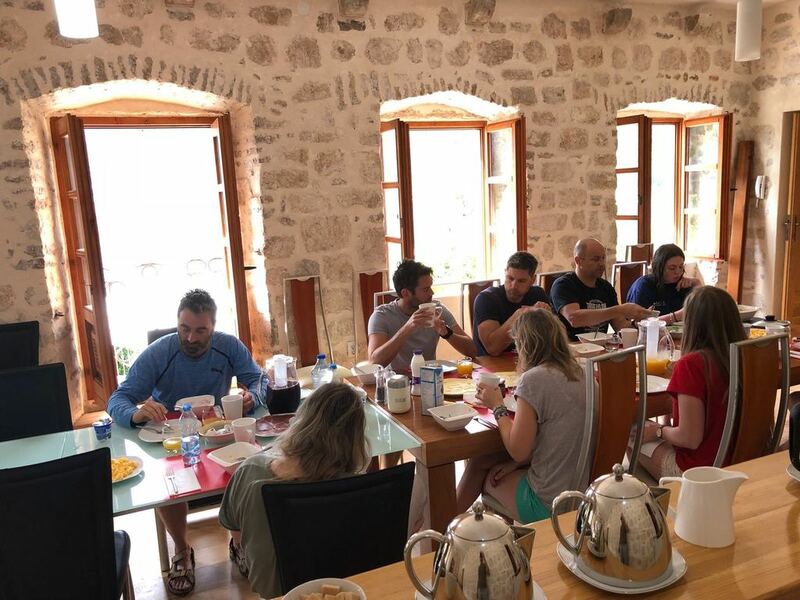 You can check out our 2019 coaching trips here. Be the first to find out about new coaching trips by joining our mailing list. Get ready to swim the world with us.